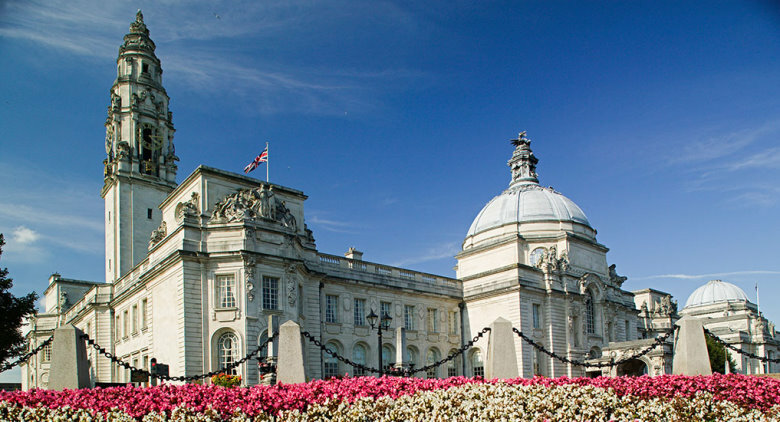 The City of Cardiff is the largest city in Wales and it is the main commercial centre as well as the base for the National Assembly of Wales. Cardiff became a city way back in 1905 and was proclaimed the capital of Wales in 1955. Over recent years Cardiff has seen significant development which has included a new waterfront at Cardiff Bay which besides the Senedd building for the assembly, is the site of the Wales Millennium Centre Arts complex. The city is accessed via an excellent road network and has its own airport with direct access to many European cities and major holiday resorts. All this development over recent years has seen Cardiff become a major tourist destination with around 19 million visitors a year pouring into the city and surrounding areas. The area around Cardiff has been inhabited for several thousand years, early Bronze and Iron Age sites are dotted over the country side and the Romans built an extensive fort near the mouth of the river Taff in 75AD. When the Normans arrived they used parts of the old Roman walls in their building programme and these early roman walls can still be seen today. Cardiff has many interesting sites for those that visit the area. Besides the historic aspect of the Castle they also hold a variety of events such as dramatic re-enactments, workshops and lectures. Cardiff City Hall (Top Photo)has an excellent art collection besides being the perfect venue for weddings and conferences. Besides the old Norman / Medieval castle, visitors to the village of Tongwynlais, north of Cardiff will find the delightful Castell Coch ( Red Castle ). This listed Grade 1 structure is a 19th century high gothic revival castle built on the site of an earlier 13th century structure. Designed by William Burges, it includes a working portcullis and drawbridge along its with grand interiors and is well worth a visit. 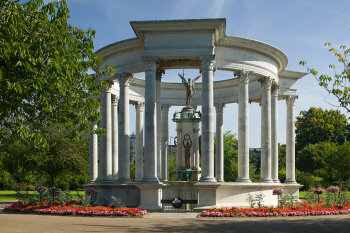 The Welsh National War Memorial is located in Cathays Park, in the centre of the city, designed by J. Ninian Cooper and unveiled in June 1928 by the Prince of Wales it commemorates the servicemen who died during both the First World and Second World War’s. With its delightful lawns and trees the park is a wonderful place to stroll around, especially if you are after somewhere for a nice quiet walk. Other places of interest include the Helwick Lightship; commissioned by Trinity House and built in 1953 at a cost of just over £80k. The Helwick served at a number of sites around the UK coast before retiring to Cardiff. With the help of Cardiff Bay Development Cooperation she was purchased in 1993 and following refurbishment she is now a floating Christian Centre. The Norwegian Church which was built in 1868 is situated in the Port of Cardiff and was one established to provide social and religious support for Norwegian sailor’s that were employed in the Norwegian merchant fleet. It is a rare example of this type of architecture and is worth a visit when in the area. 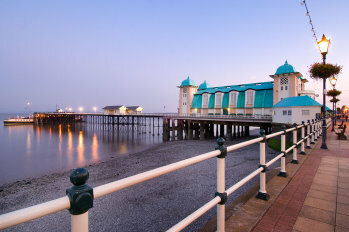 Penarth Pier is a typical Victorian structure opened in 1895 as a landing stage for ships. The pier head building and theatre were added in 1929. This art deco structure has made a significant difference and enhances the pier although it has over the years suffered from neglect and damage caused through collisions from a number of ships. Fortunately a charity was set up with a view to renovating and transforming the pier and following a review of the whole site plans were submitted and refurbishment started, completion is scheduled for spring 2013. St Fagans Museum of Welsh Life situated just outside Cardiff gives an amazing glimpse into our past. They have reconstructed over forty buildings from various aspects of life in Wales. These include cottages, shops, industrial buildings a toll house a church and an example of a 17th century roundhouse. 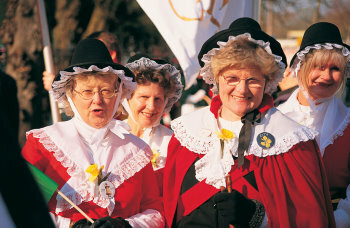 Besides the outdoor buildings they also have an indoor museum with exhibitions covering different aspects of Welsh life. Finally for those that wish for some retail therapy whilst in Cardiff, a visit to St David’s Shopping Centre will provide plenty of opportunity to indulge yourself with leading brand stores and plenty of places to rest your feet and have a meal or a drink. CityofCardiff.com is no longer supporting email addresses on this domain, due to the fact that the domain is now under new ownership. Please make other arrangements for your email and let your contacts know as soon as possible.